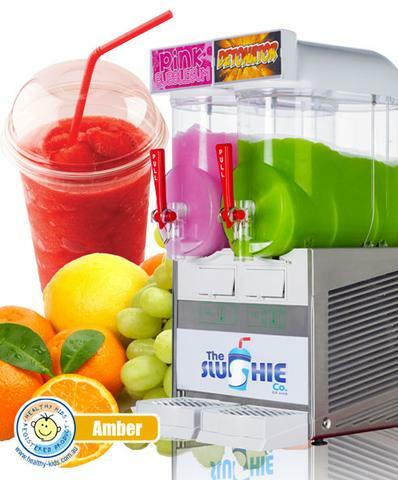 There are several, very good reasons for serving Slushies to your kids, but, above all, it is because Slushies are a happy and exciting treat, something to really look forward to. Fortunately for the Canteen and the School, they can also be very profitable – often the most profitable product in the Canteen. They are also healthy, for a number of reasons (see “why Slushies can be a healthier choice”). Making Good Profits serving Great Slushies as a regular Canteen Product. Most Schools now sell their slushies in 200ml serves, for between $1.50 and $2, $2 being the most common. This means the Canteen is making between $1.25 and over $1.50 per serve, depending on your pricing and the basis upon which you have acquired the use of your slushie machine. It makes sense then, to sell Slushies before other, comparative treats. 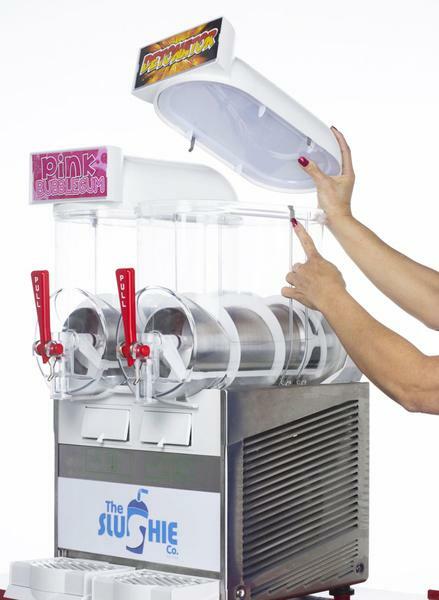 Position your Slushie machine so thatcan be easily seen. Keep the machine sparkling clean (see “Cleaning Magic”). Light display – switch it on (it really works) at serving times and keep a supply of replacement bulbs to hand. Sell “Chugs” – these are the small 100mls serves, for $1! FREE with Every Cup! Tattoo and Crazy Band giveaways also work extremely well. Run these when sales are slow. Posters – have one –or more – of our FUN posters displayed in high visibility and update and change these Every time a new flavour is introduced – promote it – ask for a poster from us! Portion control: ask your staff to resist being too generous when serving. An extra 30 mls of slush may not seem much but, once the habit has been established and you have served 5,000 slushies, that’s 750 (or $1,500 sale value) slushies you’ve given away! This is like running your car with your foot flat to the floor – the additional stress to the mechanical operation of your machine is likely to result in an expensive breakdown, eventually. If you are not happy with the profitability of your slushies, it is better to simply slightly reduce each serving size. Make a mental note of a mark on your slushie cup and only fill up to it.